Every year, we receive hundreds of testimonials from our satisfied customers letting us know what a great time they had on their Latin America vacations. We are proud to say that we have over 1,000 positive testimonials! Many of our previous clients have been kind enough to allow us to share their stories with other travelers. If you'd like to contact someone who has traveled with us in the past, inquire to your travel advisor or to travel@latinamericaforless.com. Browse this page to see where our customers have gone, what they enjoyed about their vacation, and then start planning your own trip to Galapagos! Our trip was amazing. I can't imagine it could have gone any smoother. It was the perfect balance of organized activities and time to ourselves. Knowing that everything from transportation to hotels and tours was organized for us allowed us to just relax and enjoy every moment. Thanks to everyone who made our trip so enjoyable and memorable. Our contacts at the airports were right there to take our luggage and get us to the hotels safely and saw that we were checked in with no worries. It really went so smoothly. Henry, our naturalist guide on the MV Santa Cruz, was extremely knowledgeable about all things in the Galapagos, and Fabricio guided us in Machu Picchu with all of our questions answered. 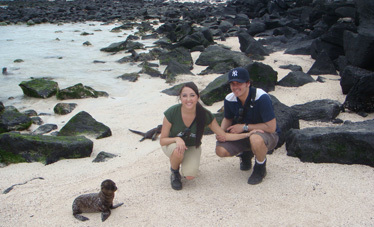 I could go on and on what a wonderful time my friend and I had and how great Galapagos For Less is. I would and WILL recommend you to anyone. Thank you again for all of your help to make our trip unforgettable. We had a great trip! 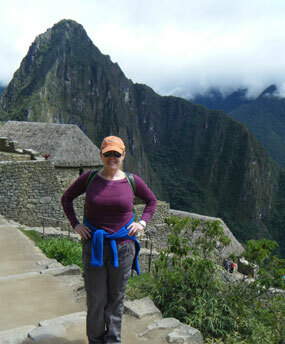 The one day Inca Trail hike was fabulous-loved our guide Edwin! I wished we would've had more time to spend in the Galapagos-because we only did the short cruise we didn't get to see all of the animals we'd like to have seen. Overall we had excellent guides and excellent accommodations. I was very impressed with the people-everyone was so nice and the cities were so clean, especially Cusco. Thanks so much for all your help putting the trip together! 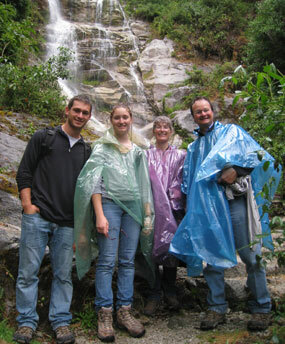 Our trip to Ecuador and Peru was fantastic. All the planning and arrangements you made for us were just perfect. The schedule was full but not too busy. We never felt rushed and really enjoyed seeing so much. Starting in the Galapagos was great and really got us relaxed and settled in. The wildlife is spectacular. The Odyssey was quite the ship and the service impeccable. Our guide Tatiana was extremely knowledgeable and fun to be with. Every day we looked forward to a new adventure. Moving on to Cusco and Machu Picchu was quite the transition. You go from understanding Darwin and his thoughts to the vortex of an incredible civilization. The Incas were indeed very accomplished and exploring the ruins was fascinating. Our guide David is an expert and really gave us a deep insight into their history. The Andean Explorer to Puno was beautiful. Passing through La Raya is like a time warp with all the shepherds tending to their flocks of alpaca. Once again the service was just impeccable. Lake Titicaca was another great segment of the trip. The floating islands were incredible. We will never forget Rosa and her family. Taking a ride on a grass reed catamaran is a must. All the transfers, guides, and service were top notch. It is a strong testament to you and your team in providing a great service to travelers like me who enjoy having everything planned out. It was always reassuring to see someone with a sign with our name on it and then whisking us away to our hotel as soon as we arrived. Making sure we maximized our time was important and we would not have been able to do it as well without you. I will certainly recommend your service to my friends. I will also be using your services in the future as I plan other adventures in South America. I first heard about Galapagos For Less from my dentist. I immediately went online to see if I could find any bad reviews of Galapagos For Less. After doing intense internet research on non-Galapagos For Less affiliated sites, I came back empty. After sending an inquiry email, I got an almost immediate response back from Jennifer. I couldn't believe how quickly she responded to all my emails (~30) including the ones I sent on the weekend. It really helped to know that if I had any questions or concerns I could easily ask and know I would get a response back. 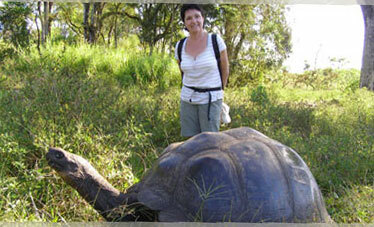 Galapagos For Less made arrangements for our 15 day trip including 5 plane flights and 5 tours. Everything went as planned. If it was on our itinerary, it happened. We traveled with the hopes of seeing lots of different species and boy did we. We took over 3,000 pictures and enjoyed every moment of our trip. The highlight of our trip was definitely the Galapagos. We loved all the snorkeling and hiking. We indeed had a wonderful time. Everything went according to plan without a hitch. The PFL staff was on hand every step of the way with transportation and guidance. They were always on time and very courteous. PFL services are indeed most impressive. Trip to Nazca was long but buses were very comfortable. 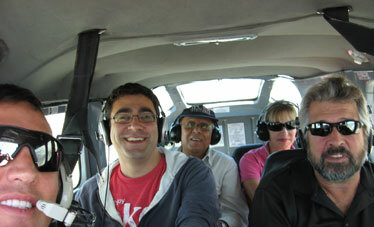 Nazca lines flight was impressive and accommodation was great. 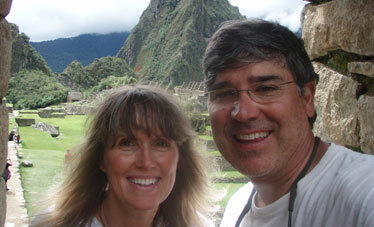 We very much enjoyed Cusco and Machu Picchu. The overnight stay at Machu Picchu was worth the cost. 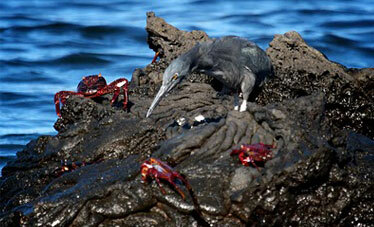 Galapagos trip also went without any problem. Very efficient and courteous staff. We would like to thank you for your efforts. We had a fabulous trip to Ecuador and Peru. The Galapagos Islands and Machu Picchu were definitely the highlights. Amazing!!! Thanks for coordinating the trip. We were met every time when we were supposed to and all of our tours went according to plan. Even when we missed our connection due to airport closure, your office stepped up to the plate and rearranged our activities for the next day. Thanks for a wonderful trip. Thanks for inquiring about our trip - which we feel was a once in a life time experience. We loved the intimate experience of the Eden and with only 16 passengers it really felt like family. The crew and guide were also friendly and knowledgeable. The food was fresh and very healthy. We were expecting the highlights to be visiting the islands (which were amazing) but it turned out the highlights were seeing the sea animals up close and personal. The thrill of snorkeling with sea lions, sharks, rays, giant turtles, penguins, and multi-colored fish is hard to describe. We would recommend this experience to anyone who appreciates nature and loves to learn. This was not a relaxing trip - it was an adventure. 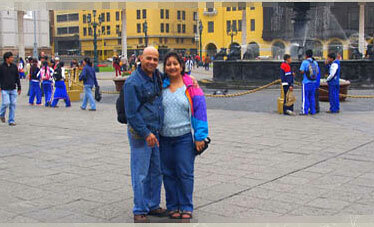 Our experience in Quito was also very nice. Roberto Peralta was a great guide. We certainly will think about Galapagos For Less for our next trip to South America. Let's admit that Belgium is pretty far away from Peru and from your U.S. based offices. Furthermore, the only contacts I had with you were per email and a couple of phone calls. Thus, to some extent, I was taking a risk: would your services and advises meet our expectations? Well, they were even better! We had a really great trip, whether in the Amazonian forest, the Sacred Valley, Cuzco or the Machu Picchu site, and finally the wonderful Galapagos Islands. During our whole trip, at every place, our transfers were perfectly organized, we were met by pleasant and kind people and we had excellent guides. A special mention of excellence to two people: our guide, Edgar, in the Sacred Valley. This guy was not only a well of science, but had this unique ability of transmitting both his knowledge of the Inca culture and his passion for archeology. And then, the adorable Allison from your office in Cuzco: we were met by her upon our arrival in Cuzco airport, coming from Puerto Maldonado. When we reached our hotel in the Sacred Valley, I realized that I had left my Blackberry on the plane! I called Allison and she told me that she would do everything she could to recuperate it. To make a long story of outstanding services short, a couple of days later, after our visit of Machu Picchu, she accompanied me to the LAN airlines counter where my PDA was handed over to me. We were a party of five, away for 16 days in South-America: we did not experience anything but enchantment! My family joins me in congratulating you and your staff for such a high level of professionalism, efficiency and kindness! At the outset, I should say that I was fortunate to team up with you. The success of our trip was mainly due to the planning that we made together. Without your assistance and advice, it would have been completely a different experience. The hotels we picked were very good and in most cases surpassed our expectations. Not only were they comfortable, the people were very hospitable and courteous. LIMA - We had a very comfortable stay in Lima. Our guide in Lima, a young man named Miguel, was very knowledgeable and friendly. Not only did he show us the sights in Lima, he also gave us suggestions for shopping and suggested a good dinner restaurant called "Junius". At Junius, we enjoyed an elegant meal and were entertained with a live band and show where we were treated to Peruvian dances and music. CUZCO - Our flight to Cuzco was delayed by weather. This was the hardest day of our entire trip. We left the hotel at 3.30am. Our hotel staff at Lima, woke us up in time and graciously provided us breakfast before we left. However our 6.00 am flight was cancelled because of the weather in Cuzco. We did not leave Lima until 2.45 pm, reaching Cuzco just before sunset. Ms. Pamela picked us and dropped us off at the airport. After arrival, we were told of the strike situation in Cuzco and realized that we would have another delay in getting to Ollantaytambo. Ms. Christine in Cuzco was very efficient and concerned to make sure we got to our destination safely. We left Cuzco for Ollantaytambo around 8 pm presuming that the strike was over and it was safe to go. However, on the way we encountered one obstacle after another in a never-ending series that made our 2 hr journey to Sacred Valley into a 6 hr ordeal, finally arriving there at 2 am. Dealing with an angry mob and not knowing what lay ahead kept us in constant worry about our safety. Our driver Mr. Mario deserves more than what we can describe in words. He went above and beyond his duty in order to keep us safe and out of harms way. Mario took us into a safe side street until the violence of the mob subsided, and then ventured cautiously ahead. Both he and Christine kept in close touch till the wee hours of the morning in making sure that we were safe and got to our destination unscathed. OLLANTAYTAMBO/MACHU PICCHU - Our hotel in Ollantaytambo was very picturesque, nestled in the valley and beautifully landscaped. Unfortunately, we did not have time to savor its beauty as we were taking the early morning train to Machu Picchu. 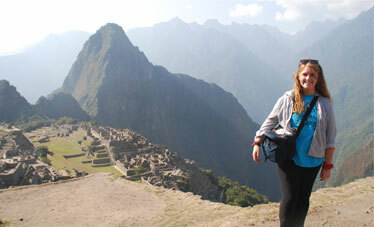 Machu Picchu was breathtaking, and our hotel "Inkaterra Pueblo Hotel" was the highlight of our stay in Peru. Although a bit expensive, I'd recommend that hotel to anyone who would like to just relax and enjoy splendor and beauty of their property. The hotel offers activities like nature walks, bird watching, orchid garden tour and other educational tours included, at no extra charge. Their food was beyond excellent with Breakfast, Lunch, High Tea and Dinner. Their service was impeccable. We had a wonderful time there we feel our stay there was memorable and well worth it. The Inkaterra Hotel is in a class by itself. Our train ride back to Cuzco was leisurely and we enjoyed the scenic beauty of the Valley and the Urubamba River. CUZCO/SACRED VALLEY - After a restful night, we met our Guide - Maria Elena Amanca Flores. By far, Maria gets the distinction of being the BEST GUIDE on our PERU/ECUADOR trip. She is not only very knowledgeable about the history and culture of the Peruvian people, she is also a very kind hearted person. She was always attentive to our needs, and treated us like her own family member. We do not think of her as a guide, but more as a good friend. 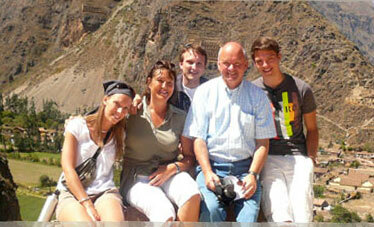 We would welcome another trip to Cuzco and spend more time in this wonderful city as our present stay was very short. I am sure Maria would make it enjoyable for us the next time and we will look forward to it. Once again I have to thank you and Galapagos For Less for arranging the Sacred Valley tour and the sights around Cuzco tours, together. Ordinarily we would have missed the tour due to the strike. It was a long day for all of us, but very enjoyable, and we had a great time. QUITO - Our trip from Cuzco - Lima - Quito was good. The hotel and food in Quito was good. Quito is a great city. Our guide at the Equatorial monument was a young lady who was also very pleasant. Our Quito guide was a young man who was knowledgeable and helpful. He is also an avid trekker. GALAPAGOS - We enjoyed our five days cruising around the Galapagos Islands. Our yacht "Estrella del Mar" was a comfortable boat. Fortunately, the waters were not too choppy. The Captain and crew were very nice and always there to help and assist the passengers. Food was great and adequate and no food was wasted. I have to make a special mention of their soups. They were wonderful and out of this world. Our guide Naturalist guide Estebhan Chavez was excellent. As we are not swimmers, we did miss out the natural beauty that comes with snorkeling and diving. My husband was happily taking all the pictures and videos he could in this natural oasis. I have not yet checked them out. Our last day on land, in the Galapagos was leisurely and helped us unwind. We flew back to Quito to return back to the US, happy to be home and yet nostalgic with wonderful memories of the past 2 weeks to carry us through. All in all, we had a great time. Our holiday was enjoyable beyond our expectations. We enjoyed Peru much more than Ecuador/Galapagos. We would love to visit this beautiful country Peru again. Not only is the natural scenery exquisite, the Inca history and its civilization has enamored us. But most of all, our memories are cherished by the warmth of the people, their simplicity, honesty, good nature and hard work. I thank you once again for all the coordination and hard work to put everything in order for us. I can categorically state that it is with your help Chris, and the assistance of the others who work with 'Galapagos For Less ' our trip was so incredibly enjoyable. You certainly helped a lot in coordinating before and during our trip as unforeseen circumstances required changes that became necessary. We would love to repeat the experience again to visit other places in Peru and South America. I enjoyed working with you and will happily recommend you and "Galapagos For Less" to my friends and associates for their future travel to South America.